Mutual funds that lose too much value may be dissolved or split into other funds. 1. Can All Money Be Lost in a Mutual Fund? 3. What Happens to a Savings Account if a Bank Collapses? In theory, a mutual fund could lose its entire value if all the investments in its portfolio dropped to zero, but such an event is unlikely. However, mutual funds can lose value, as each is designed to assume certain risk levels or target certain markets. While full value loss isn't likely, the company that administers the fund could liquidate a poorly performing fund. In most cases, investors are protected from fraud or other losses of capital, but not from a fund’s poor performance or the risks assumed. A mutual fund is a collection of investments managed by a company or financial institution. Investors buy shares of these funds, which increase in value if the fund’s portfolio performs well. Mutual funds are managed to meet stated goals, follow certain parameters and usually focus on specific regions, industry sectors or market indexes. A variety of financial institutions can sell mutual funds, including banks and companies exclusively focused on managing mutual fund accounts. Investors chose mutual funds because of the portfolio diversification and investment expertise they offer. However, while thought of as safer investments, mutual funds carry risks just like any other investment. While some banks will sell mutual funds, including those that carry the bank's name, according to the Securities and Exchange Commission, they aren't considered bank accounts and aren't insured by the Federal Deposit Insurance Company. Therefore, investors are responsible for any drop in the fund’s share price, which is often called the net asset value, or NAV. Mutual funds, like any investment, are clearly at risk for losing some value, and investors should closely follow their fund’s NAV and consider selling if it drops too far. If this were to happen, however, many other shareholders would also try to sell. Usually, mutual fund companies take efforts to either dissolve these funds or transfer the assets in poorly performing funds to larger funds, according to the Stock Disciplines website. In these cases, shareholders of the fund will either be refunded for the remaining value of their shares or offered shares in a comparable fund. If a mutual fund shareholder wanted to cash out of his shares but his financial institution didn't have the money available, the shareholder is protected against this kind of insolvency. In most cases, shareholders would be covered by either the FDIC or the Securities Investors Protection Corporation, which insures investors in brokerage firms. An investor’s account can be covered for up to $500,000, but that only covers the firm’s obligation to refund your account’s capital, according to the Christian Science Monitor. 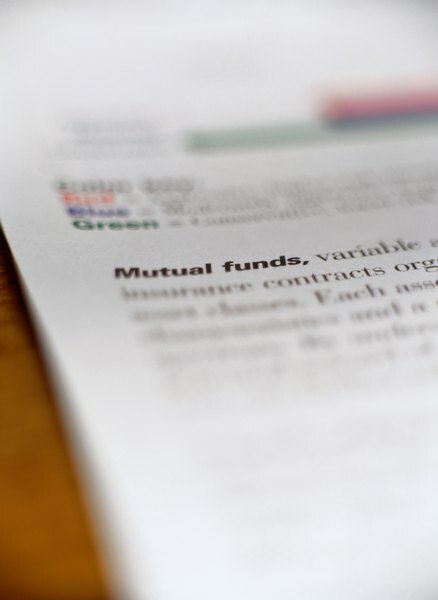 Mutual fund shareholders aren't insured for any losses in the fund's value. Christian Science Monitor: If Your Mutual Fund Fails, What Happens to Your Money? Oblivious Investor: Is It Safer to Use Multiple Fund Companies? What's the Difference Between an Investment Manager & a Custodian? What Is a Liquid Mutual Fund? Is a Mutual Fund a Security?